Pallet live racking is broadly similar to pushback racking, except stock is loaded in one aisle and removed from the next. Pallets are loaded on inclined gravity rollers sloping towards the pick face, when one is removed the pallet stacked behind it moves to the front. Operates on a first in, first out (FIFO) basis, ensuring automatic stock rotation. Only needs two aisles, meaning that at least 70% of your floor area could be used for storage. Replenishment stock is loaded at the opposite (upper) end of the lane, with minimum conventional fork lift truck movements required to handle the flow of goods. 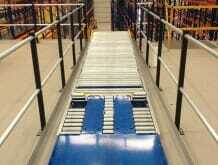 Pallets are loaded on inclined gravity rollers sloping towards the pick face. 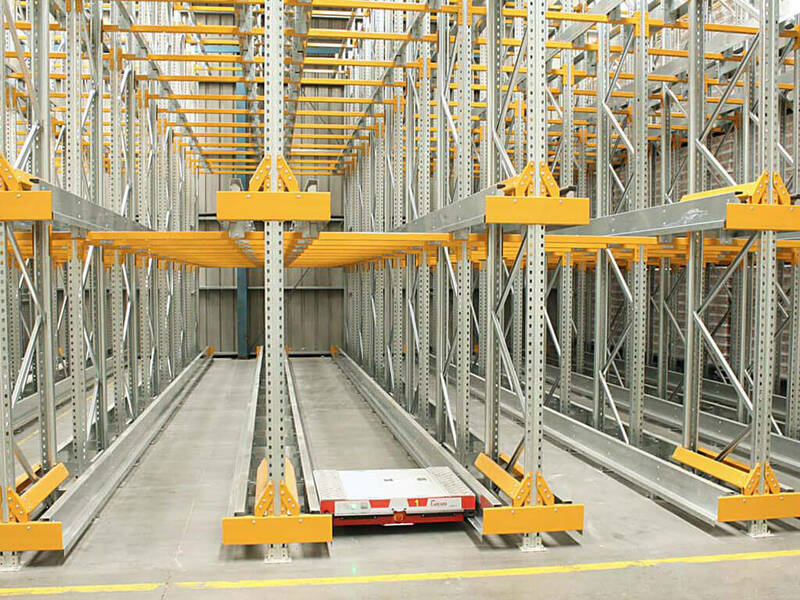 When one is removed, an automatic braking system (and gravity) brings the pallet stacked behind it to the front of the rack at a controlled pace, so the picking face is always full and stock rotation is automatic. The system is widely used in the drinks industry or as a buffer storage facility by manufacturers and only needs two aisles – one for loading and one for retrieval. This means at least 70% of your floor area could be used for storage. 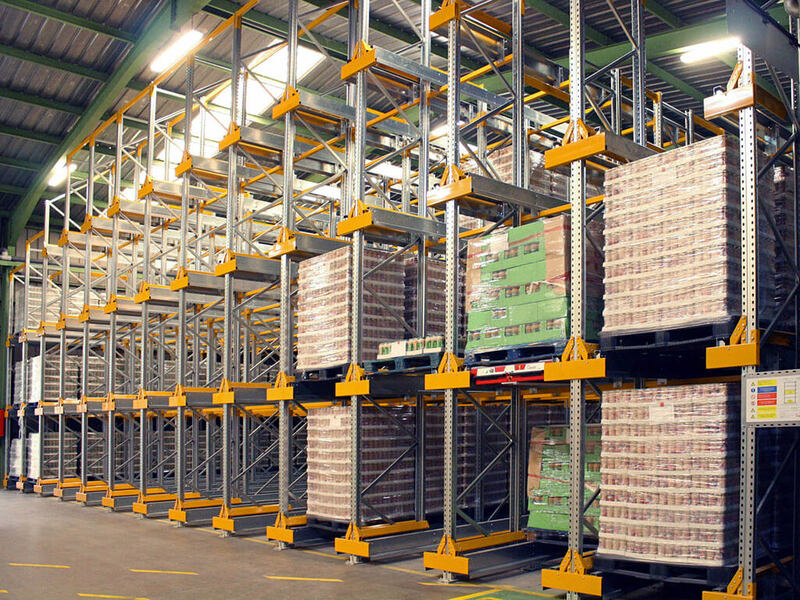 Pallet live racking operates on a first in, first out (FIFO) basis and each lane is usually dedicated to storing one product line or for marshalling loads in or out. Increased speed of operation within the warehouse. Uses significantly less floor space than conventional pallet racking. Operates with conventional forklift trucks – no need to invest in specialist equipment. 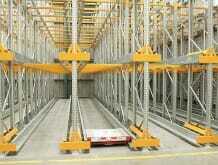 Trucks never enter the rack, greatly reducing the risk of damage. 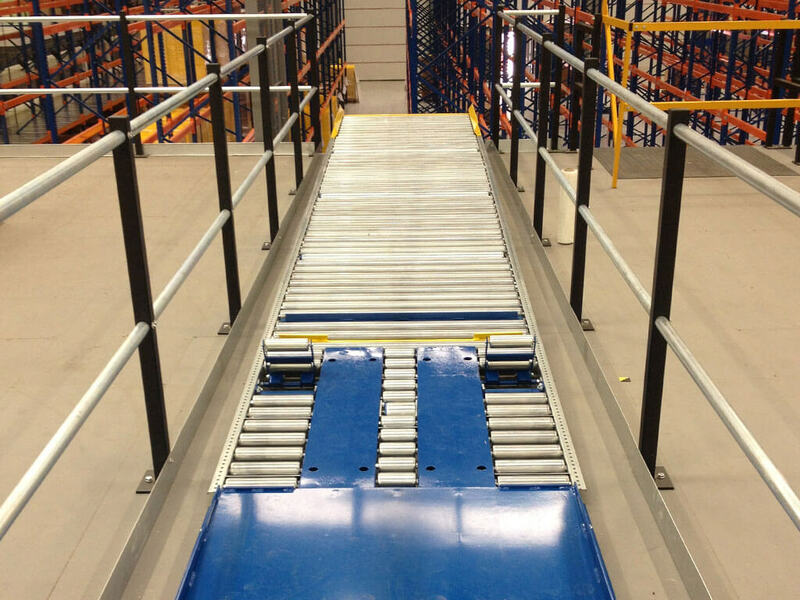 Dedicated load and retrieval faces – only two aisles required. Fast-moving ranges where goods need to be retrieved at speed.